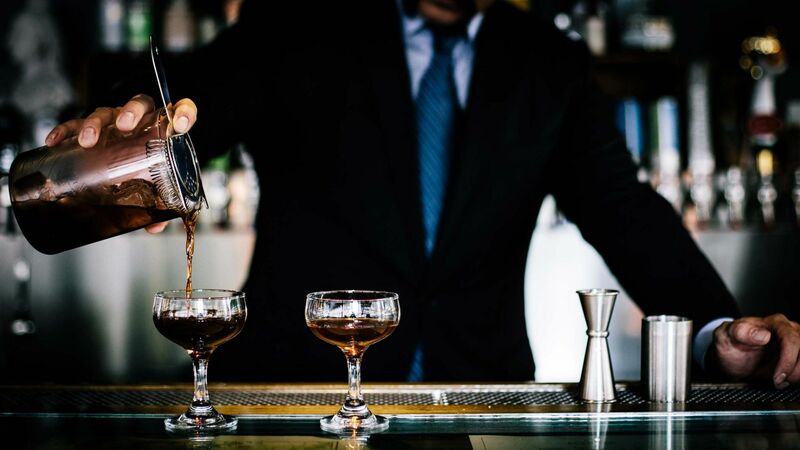 Originally built in the 1940s, The Confidante is a nostalgic and playful celebration of its retro-glam roots. 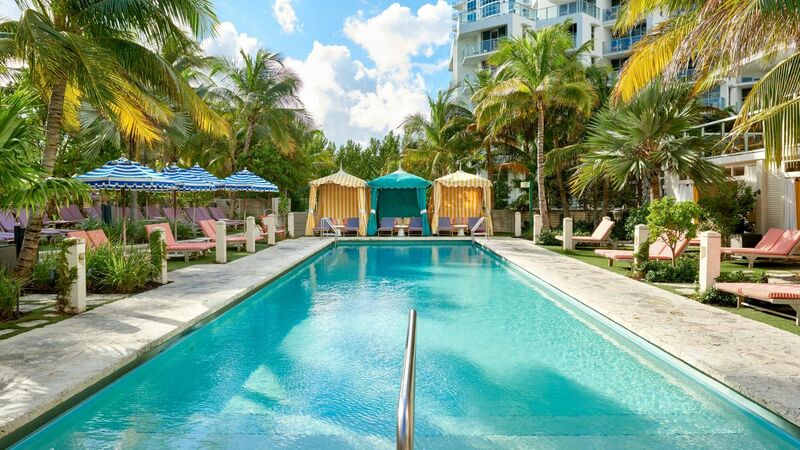 The Miami Beach retreat is ideally located between hustle of South Beach and the bustle of Miami’s hip art districts. 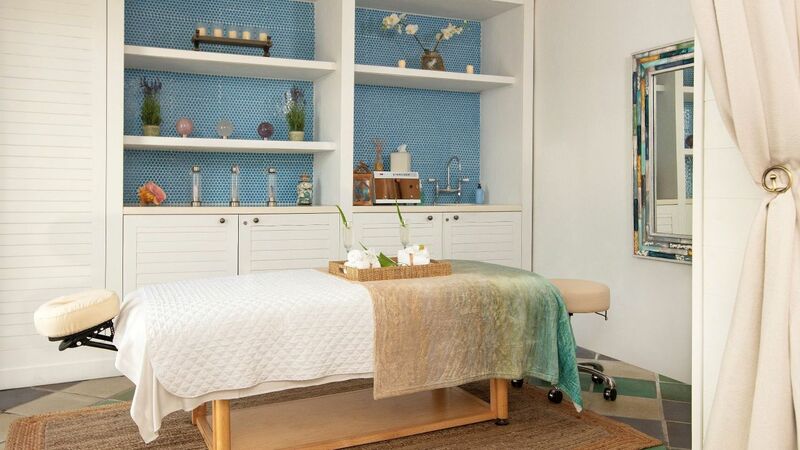 Rejuvenate your soul with the latest wellness trends in our rooftop spa, featuring private, air-conditioned cabanas and a terrace overlooking Miami Beach. 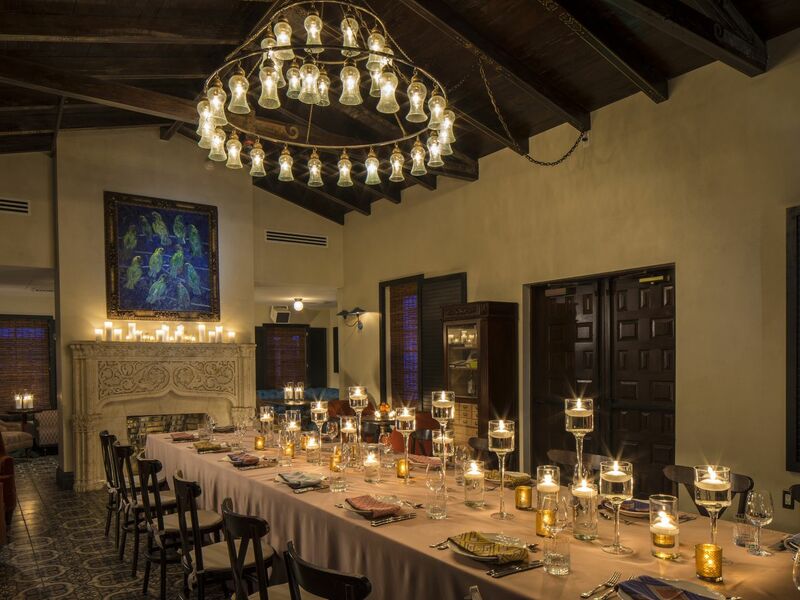 Savor a Southern-inspired menu at our Miami Beach restaurant with dishes created by celebrated South Florida chef Richard Hales and a drink menu featuring specialty cocktails and local craft beers. 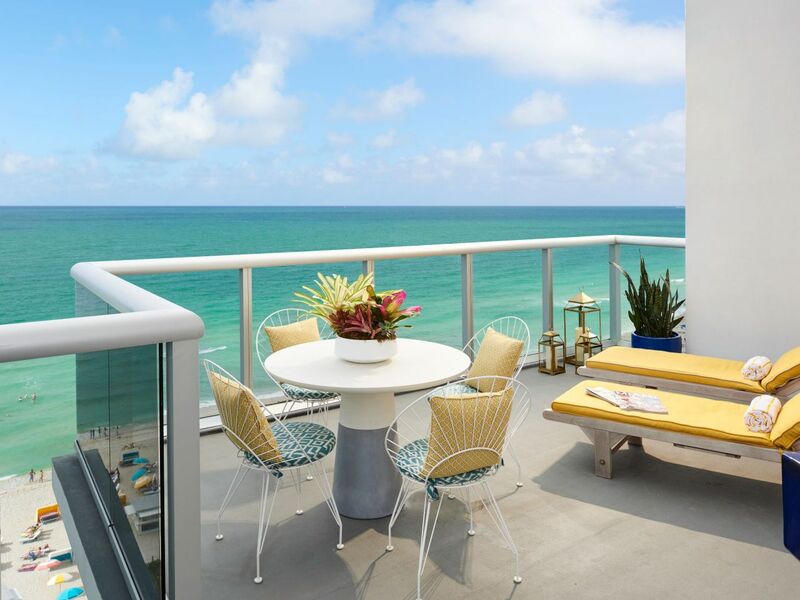 Enjoy vibrant mid-century modern décor, rainfall showers and views of either the Atlantic Ocean or Miami skyline. Upgrade to an Ocean View Suite for a wraparound corner balcony, floor-to-ceiling windows and sprawling ocean vistas. A resort fee of $30 plus tax will apply to each night of your stay. 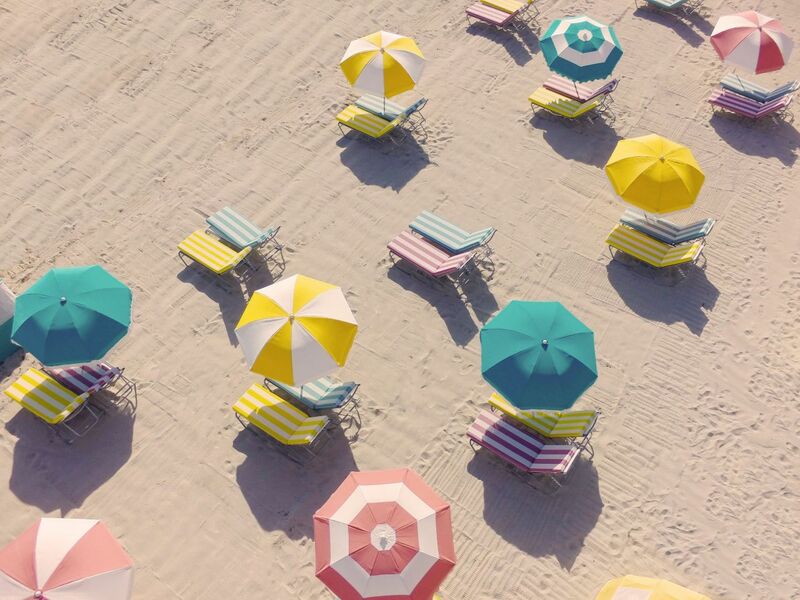 The fee includes beach and pool chairs with personalized attendant, use of indoor/outdoor fitness center, exclusive on-property fitness classes, bicycle and helmet to explore Miami Beach, and more. 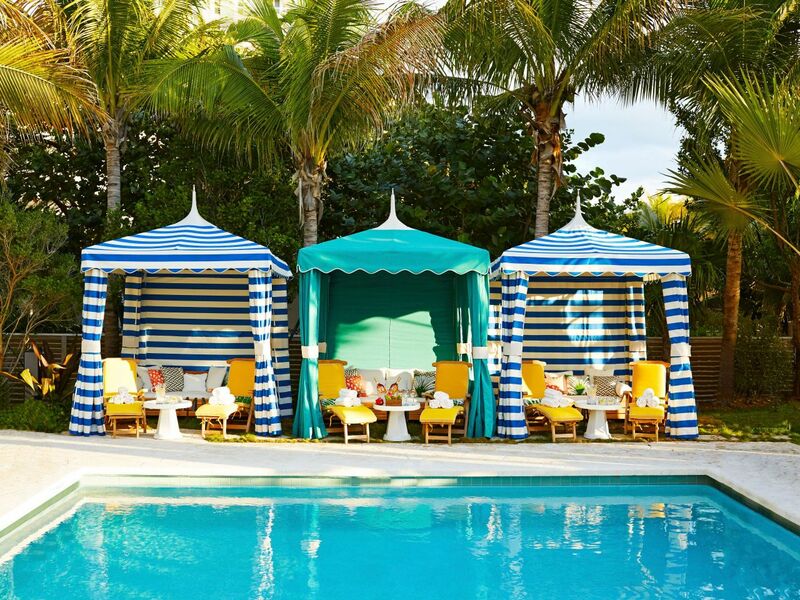 Lounge under a colorful cabana or bungalow at one of our two heated outdoor pools— including an adult only pool. Poolside service includes a personal attendant so you can delight in the sunshine with specialty cocktails and casual cuisine. 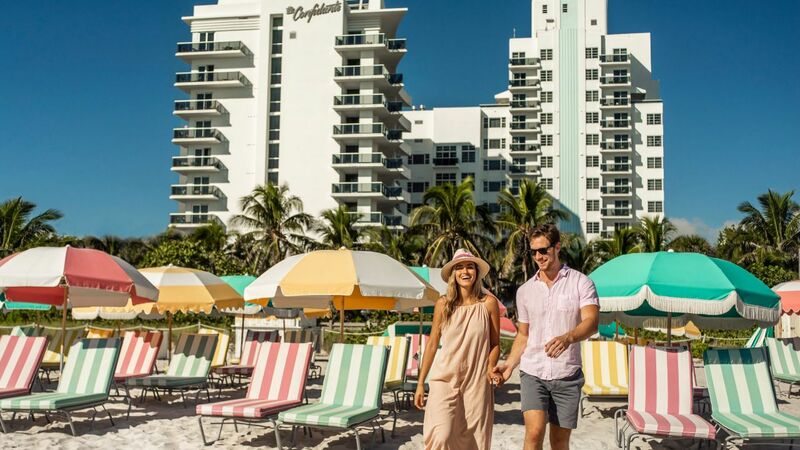 Enjoy direct access to famous Miami Beach and our Art-Deco inspired beach chairs, along with service from a personal attendant. 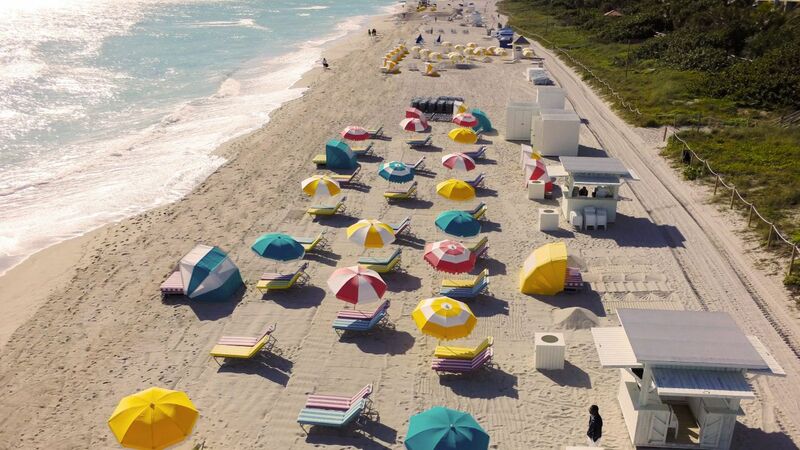 Or, get active on the Miami Beach boardwalk—the perfect place for strolling or bicycling. 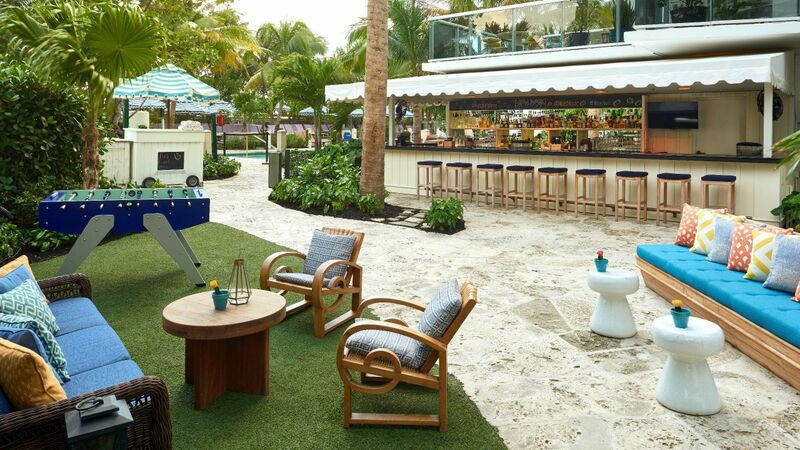 Relax in our backyard garden featuring al fresco dining, craft cocktails and live music on Fridays. Games like giant Jenga, Connect Four and our inviting bar make this the perfect place to catch up with friends and colleagues. Work up a sweat in our indoor/outdoor fitness center, open 24 hours a day. 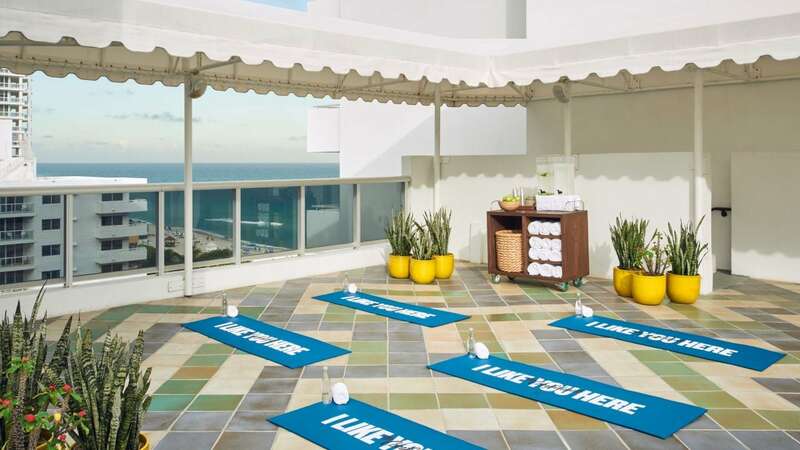 Guests also enjoy complimentary weekend wellness classes, including exclusive boxing and yoga classes on the rooftop fitness area. 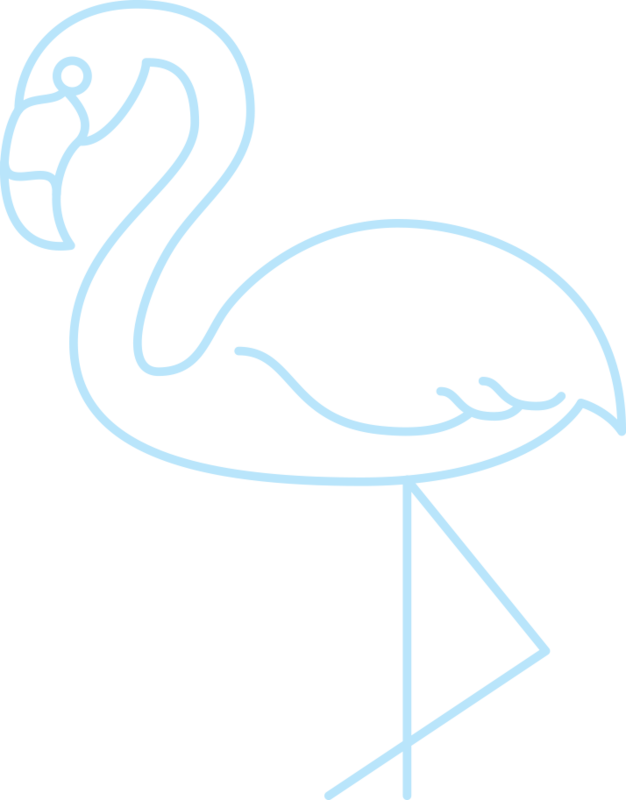 Your pets are welcome at The Confidante Miami Beach with dog-friendly parks and beaches nearby. Up to two dogs only. 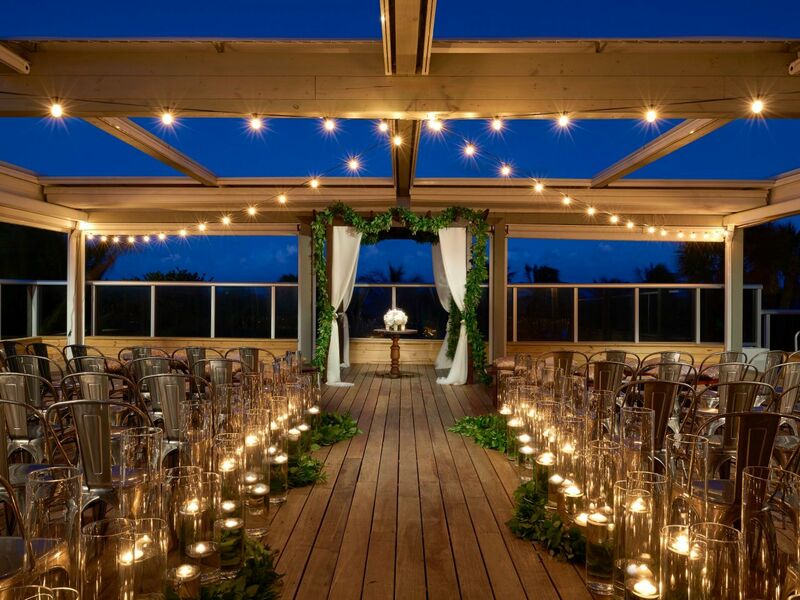 Say “I do” in our unique spaces featuring with striking decor and sweeping oceanfront vistas for a day you and your guests will never forget. 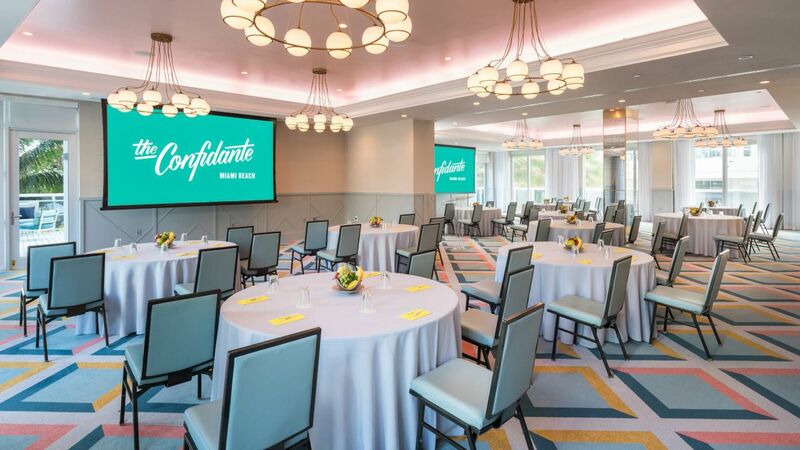 Host your gathering in nearly 30,000 square feet of indoor/outdoor meeting space, complete with your own dedicated meeting planner. The location is awesome; rooms were very clean; service was top-notch; and the outdoor ambiance in the evening was awesome! Great running path out back along the ocean, two great pools. Awesome stay! I plan to go back. 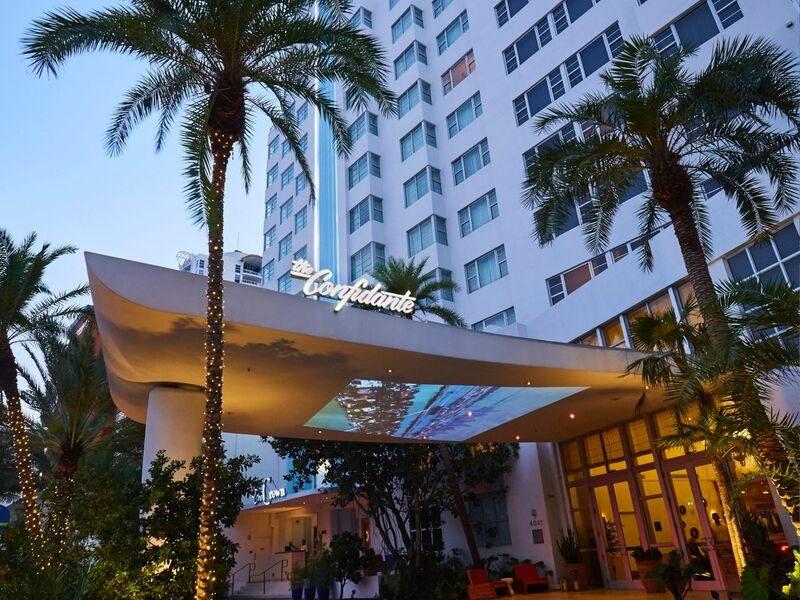 What else is happening at The Confidante Miami Beach?